River Angels Kris Klavon and Craig Wainwright towed the stranded #Shantyboat several miles to the mechanic as the opening salvo in their adventurous day. Ask Me Anything! 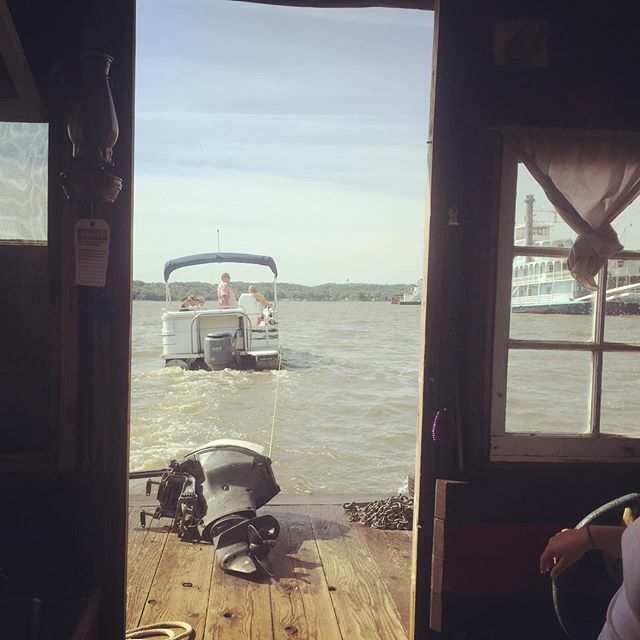 Reddit: I am an artist who hopes you don’t read about my death when we launch our homemade (and untested) shantyboat on the Mississippi River AMA! I live on a shantyboat and float major American Rivers to hear people’s stories. Ask me anything Artist on Tennessee River Journey to Gather Stories Rediscovering our secret cache of Dr Thunder’s Peachy Fire Whiskey during a shantyboat workday. #shantyboat #secrethistory #firewhiskey Reddit: I am an artist spending the summer in a shantyboat on the Mississippi River gathering stories of river people. AMA! ← Poor Freddie. The #Shantyboat got a tow across the river to Mike at Green Gables Marina who said “Oo, it doesn’t look good.” May be in the market for another small Mercury engine soon.